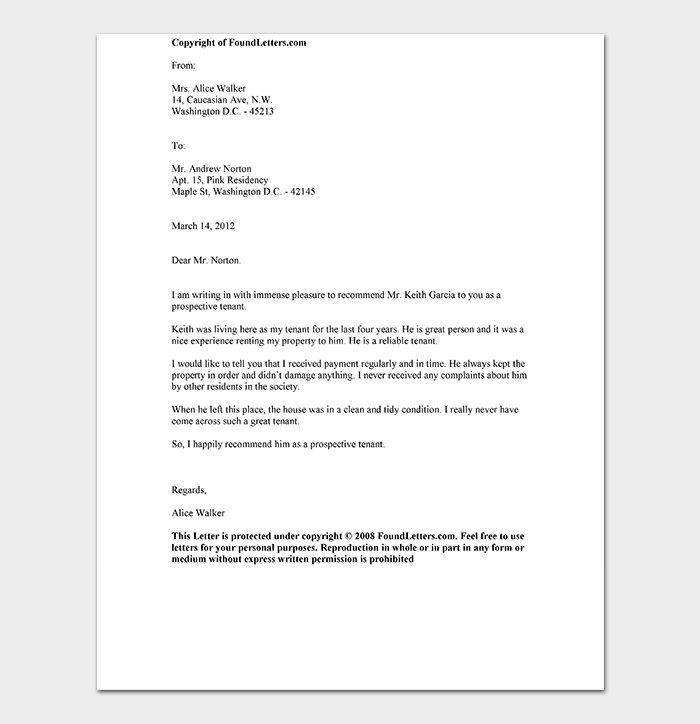 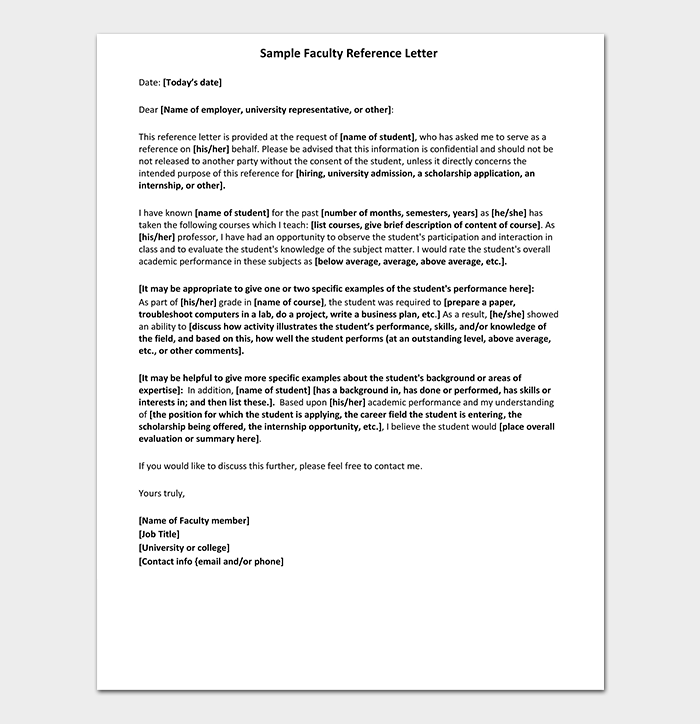 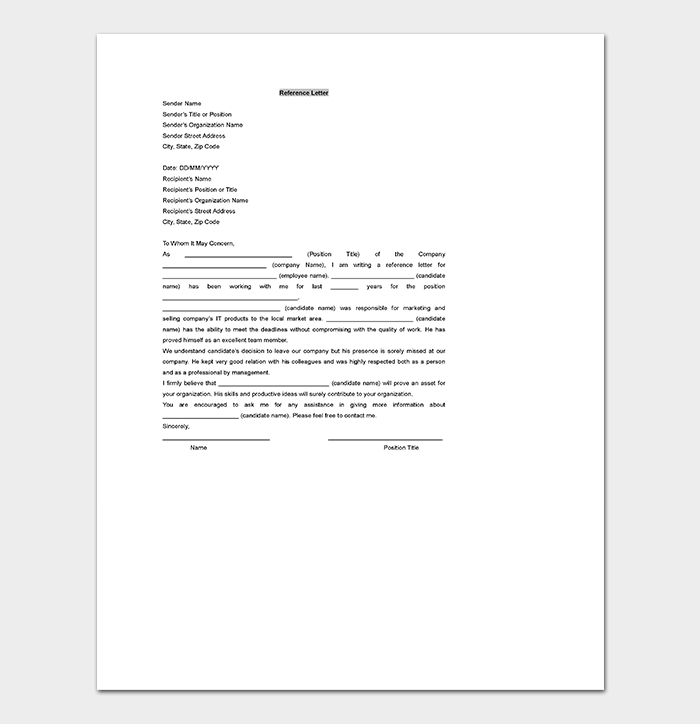 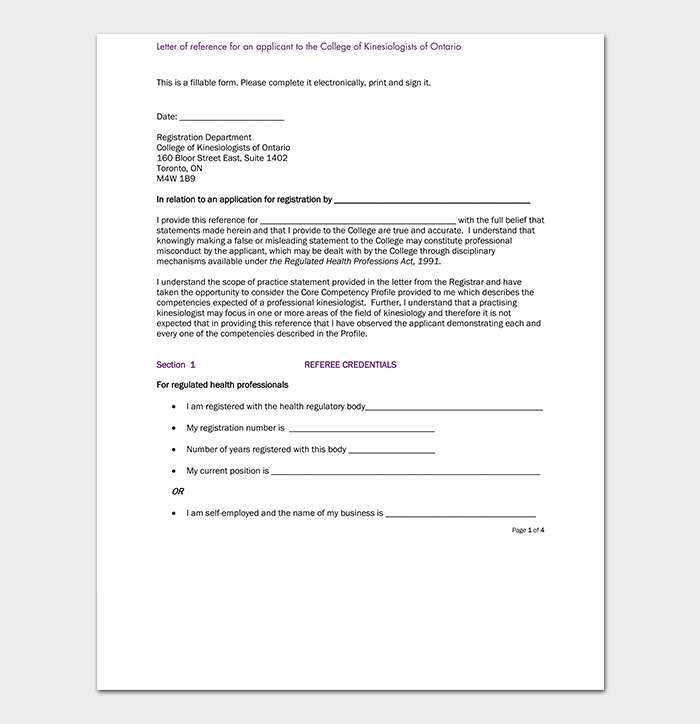 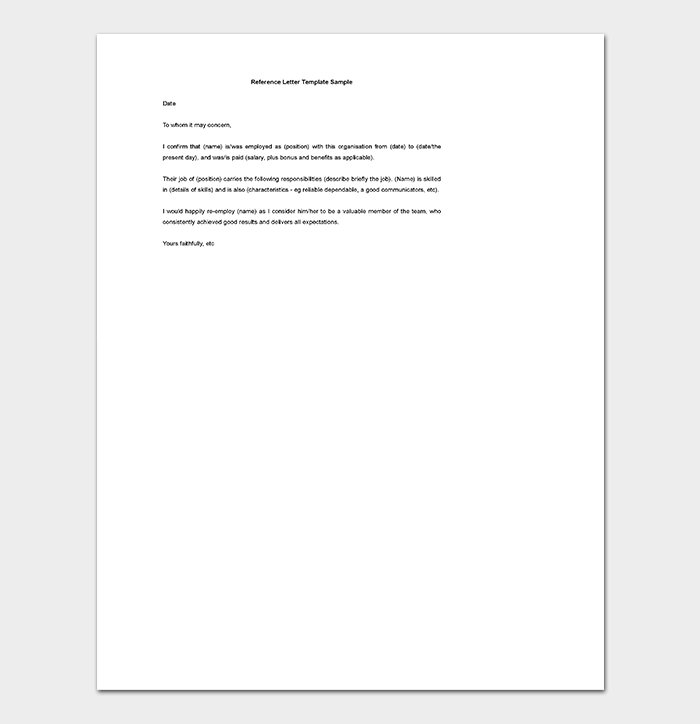 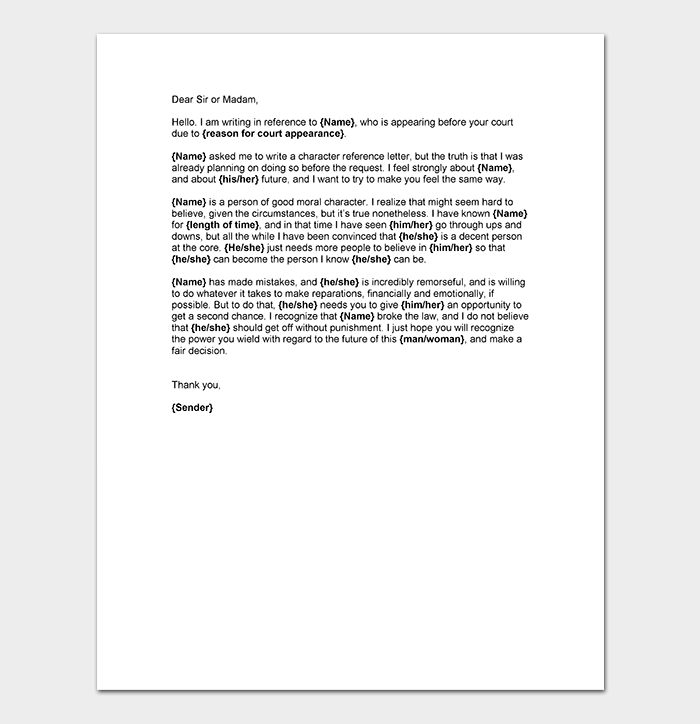 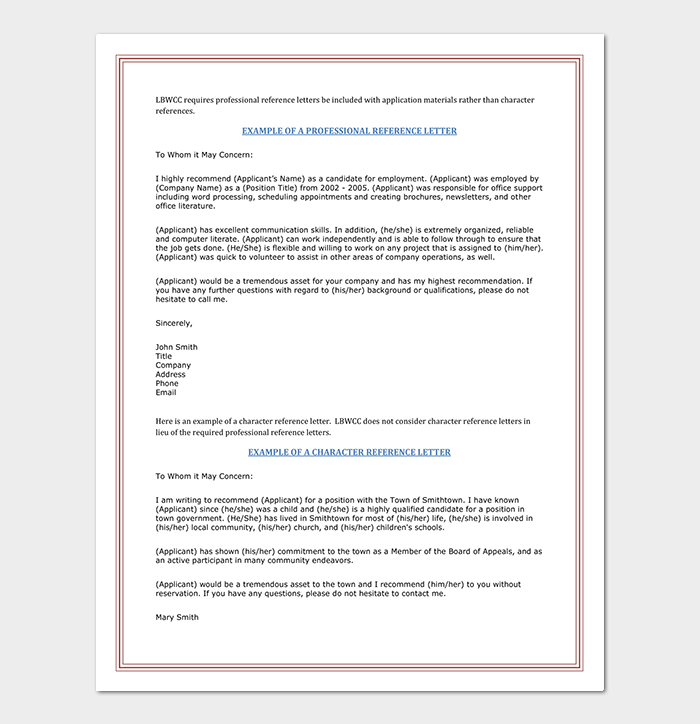 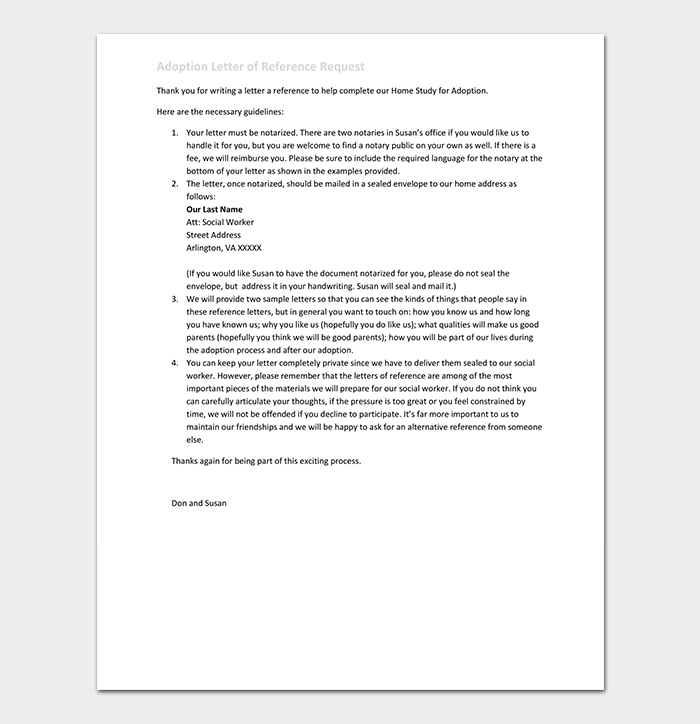 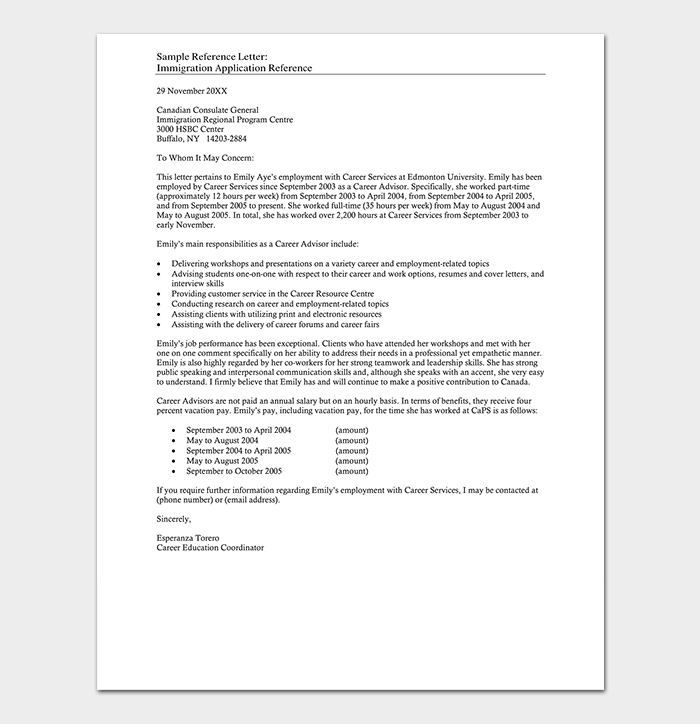 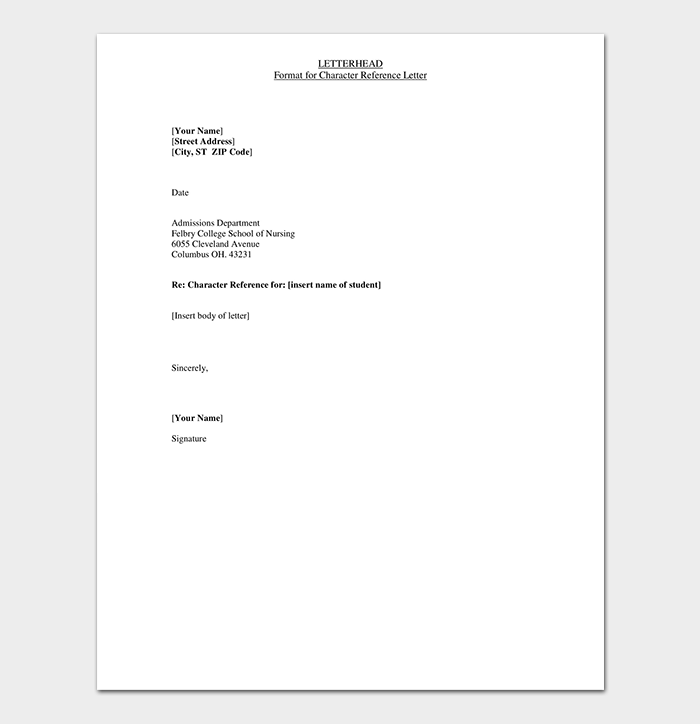 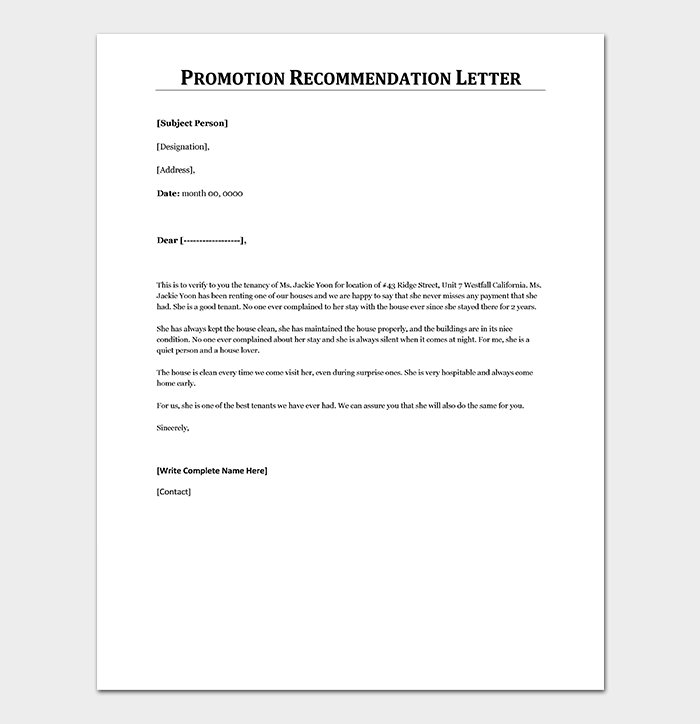 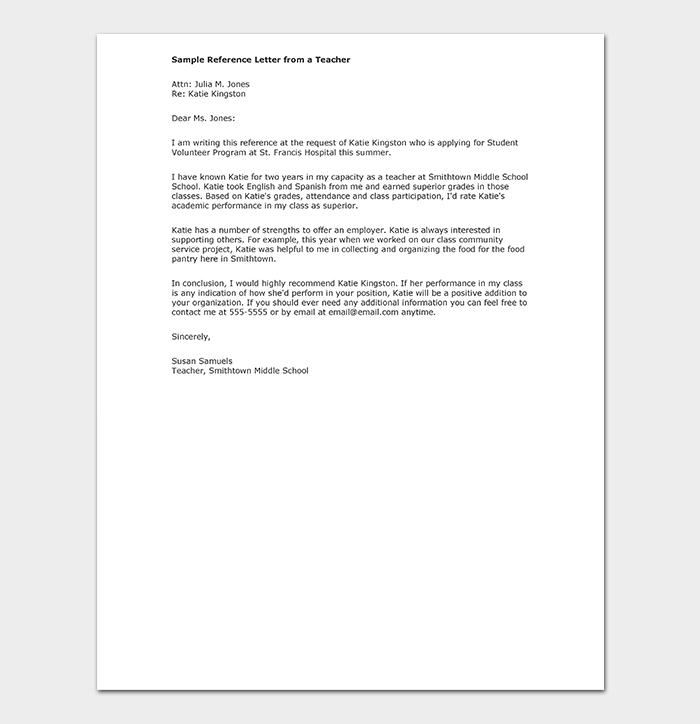 A reference letter template also identified as the recommendation letter that is normally used to endorse someone. 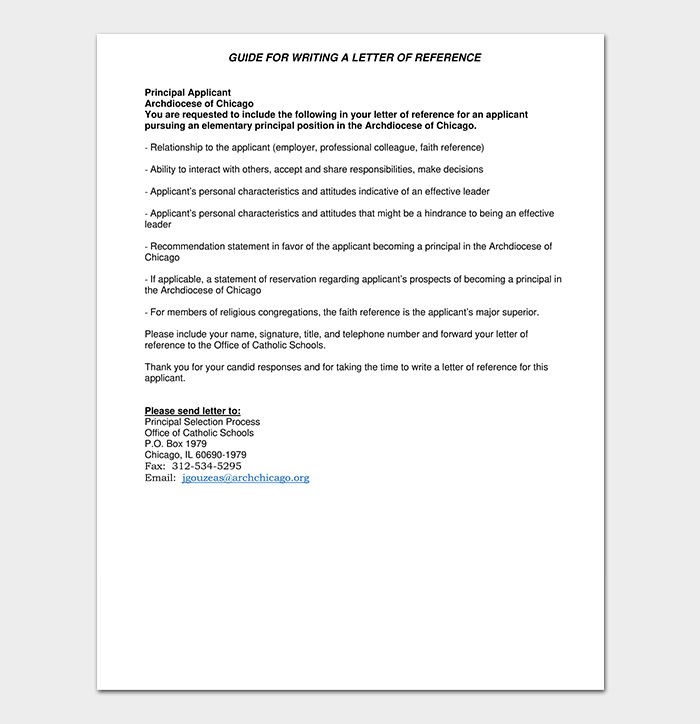 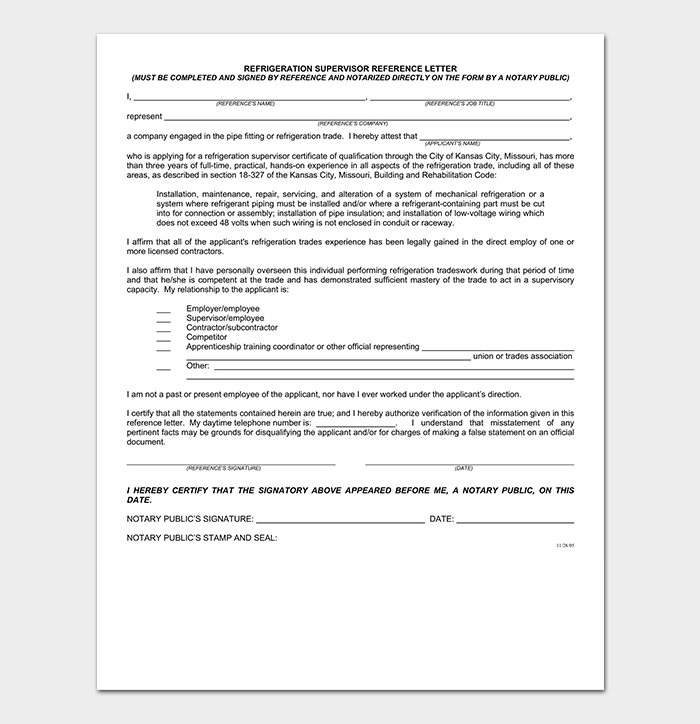 You might experience difficulties in expressing your capabilities while applying for a job, internship or other academic applications without this document. 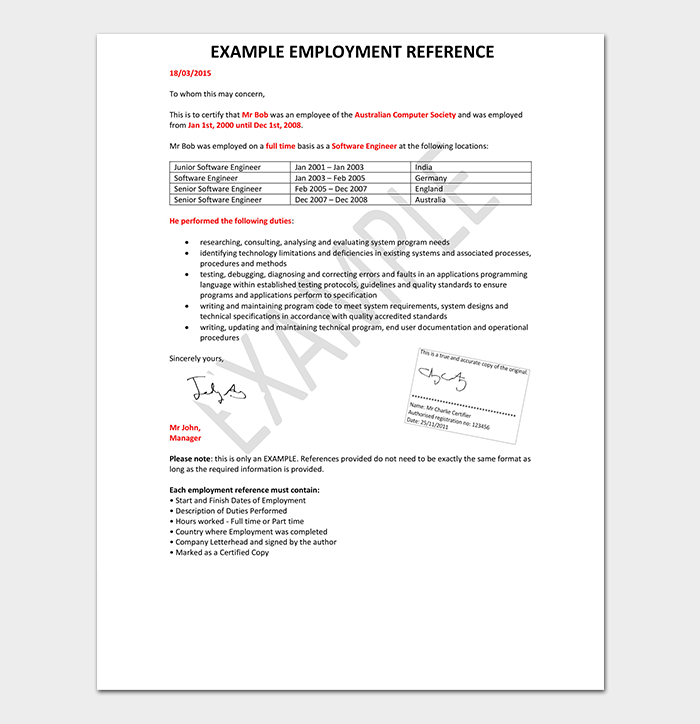 It comprises a generic information about individuals’ abilities, knowledge, skills and character. 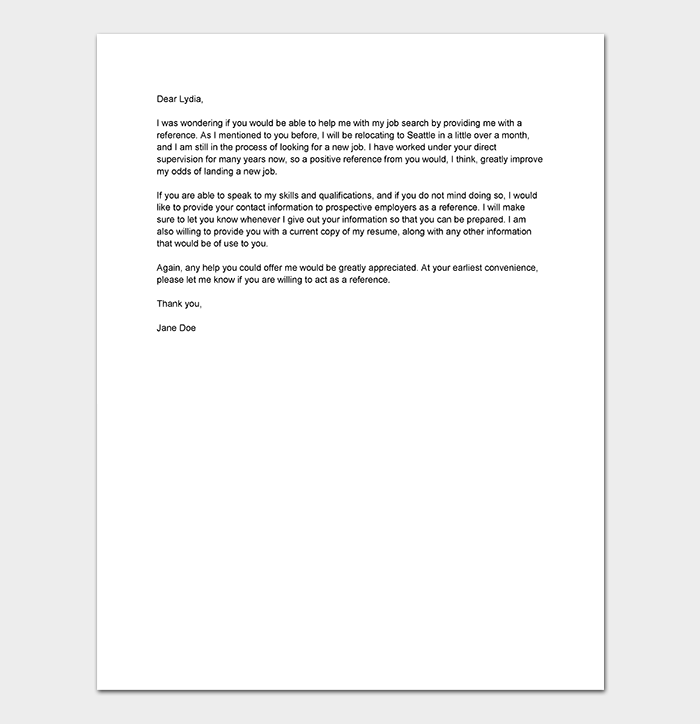 Therefore, it can make things easier, simpler and clearer. 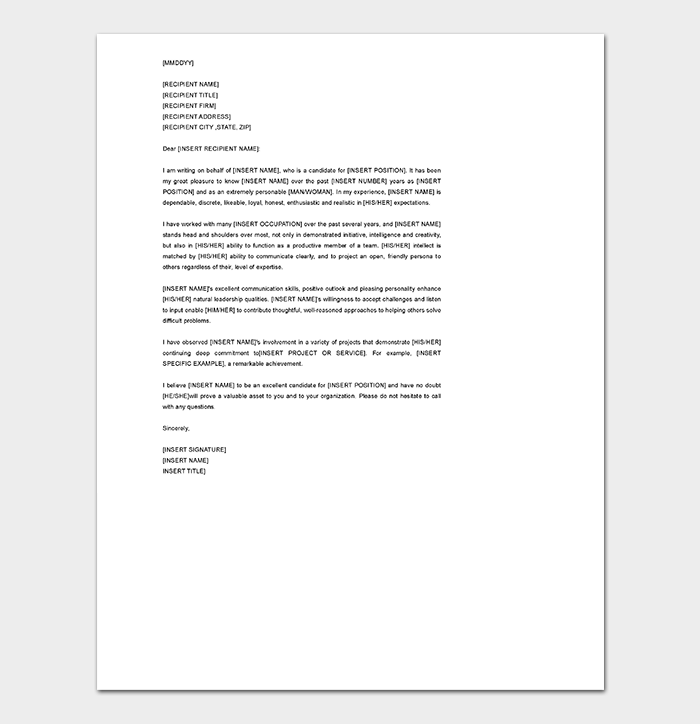 The adoption-reference-letter is another type of letter of reference that can be sent from the adoption place, mentioning any previous adoption where couple showed an exceeding love and care for kids. 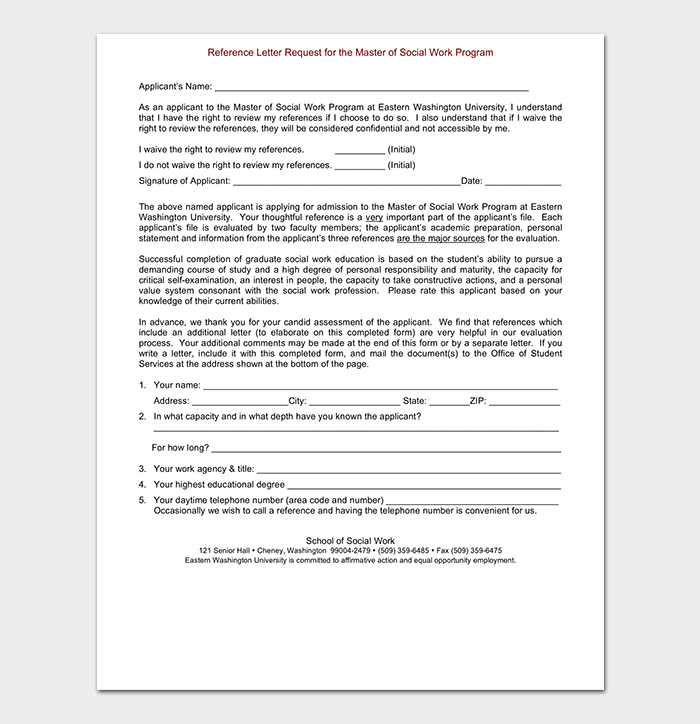 It should always be in a way that portrays or highlight the ingenuity of couples who have interest in adopting a child from a particular children’s home. 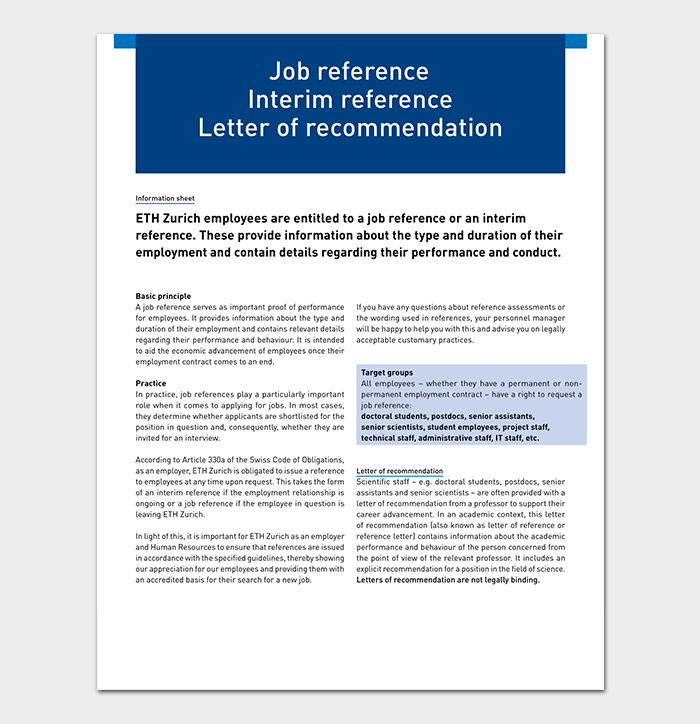 The most valuable information is always from the previous employer especially if you are applying for your new job. 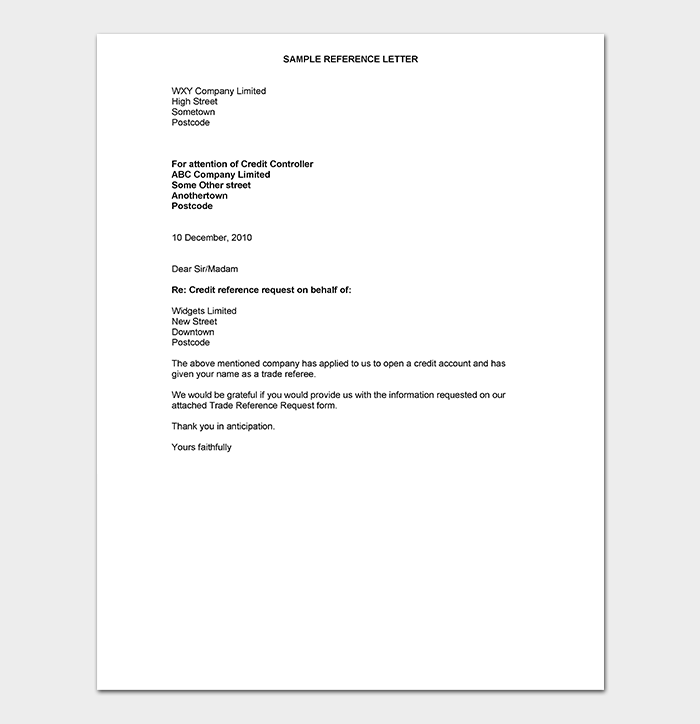 That’s where reference letter from employer come in since it contains the information about the previous status of an employee, in particular, business or company. 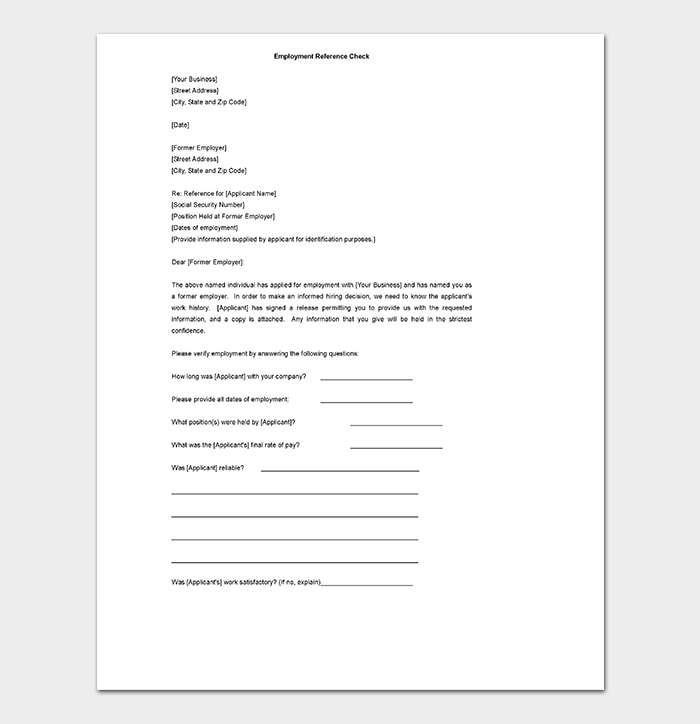 Hence, the manager can analyze a kind of employee will be working on his/her company. 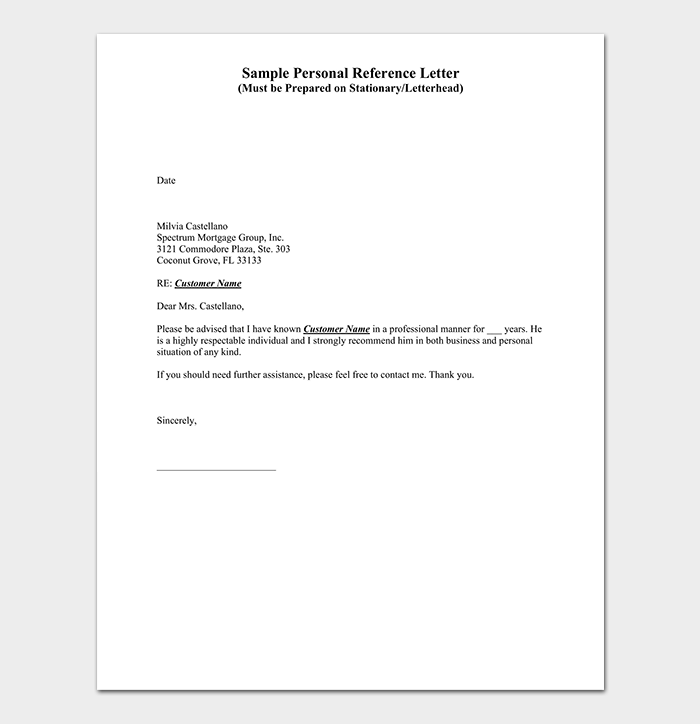 It’s a type of personal-reference-letter in word format that uses as a note of gratefulness and gratitude from a colleague or family member. 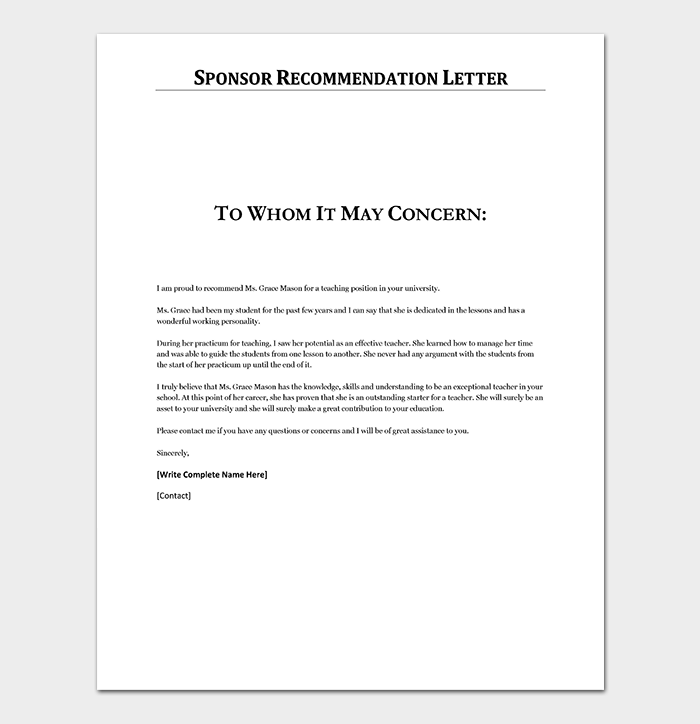 It can also be used recommend a colleague for the open job opportunity. 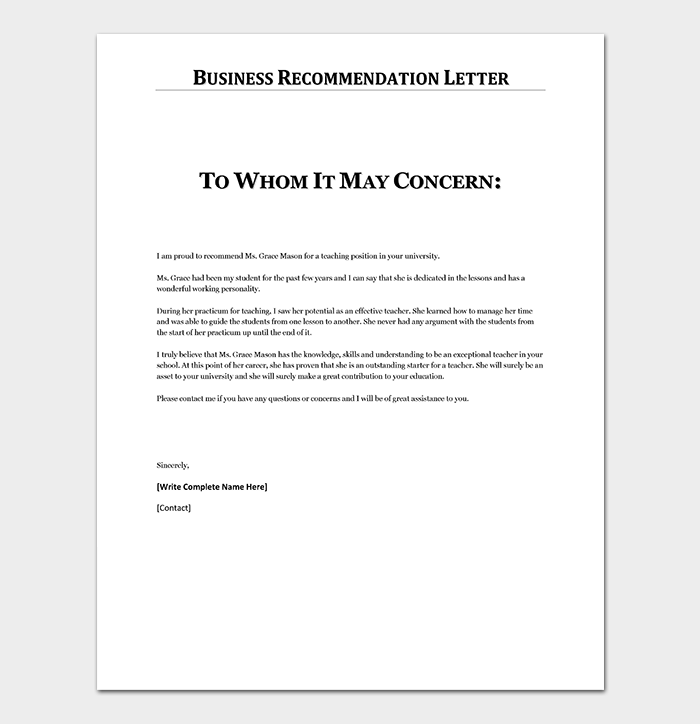 Letter of reference has no fixed format, but it advised an importance of friend contribution that result in a contusive working environment. 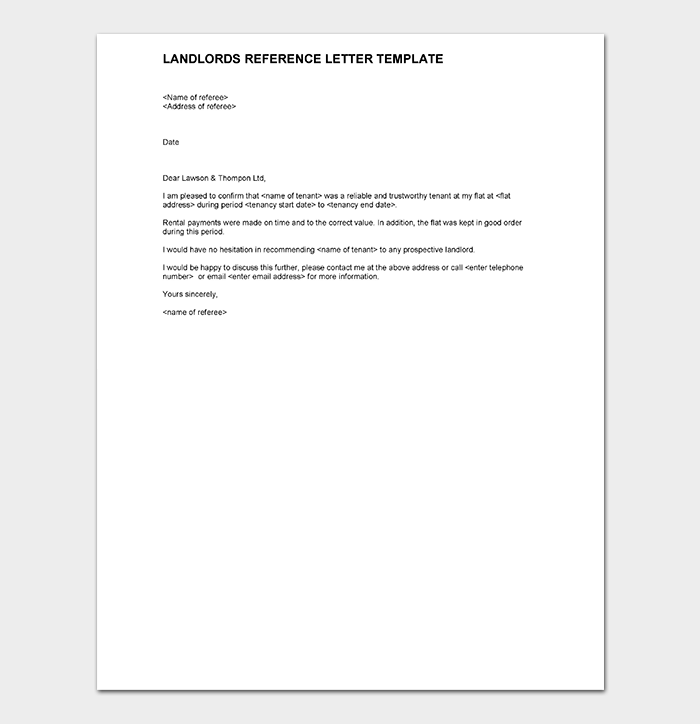 Generally, even before you start writing a letter of reference, it is a great idea and advisable to go through various templates. 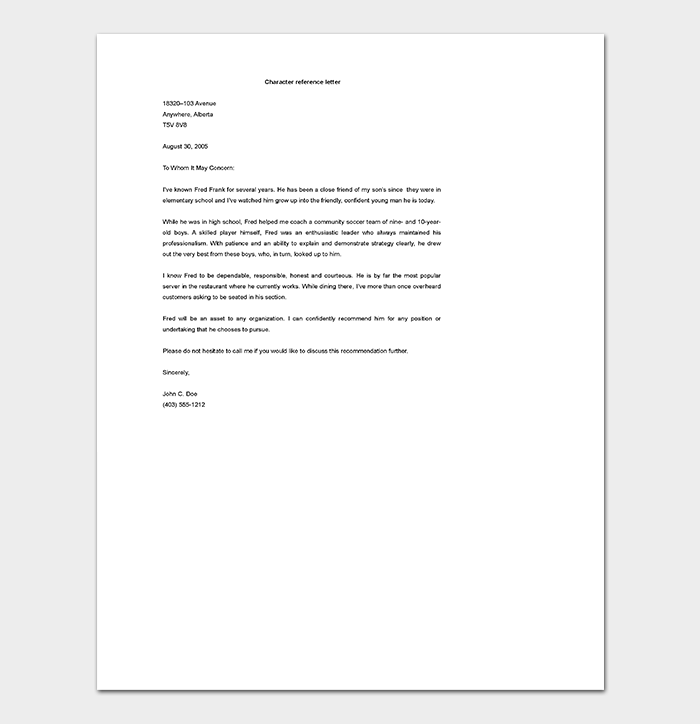 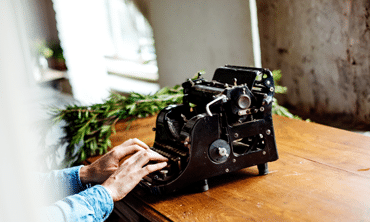 Especially, if you hold a higher position in your company or business, how to write a perfect reference letter should always be at fingertips. 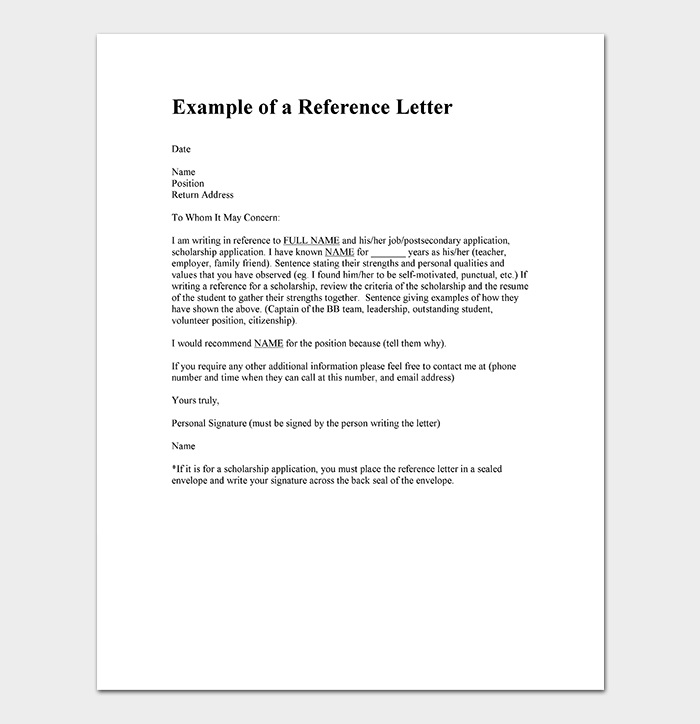 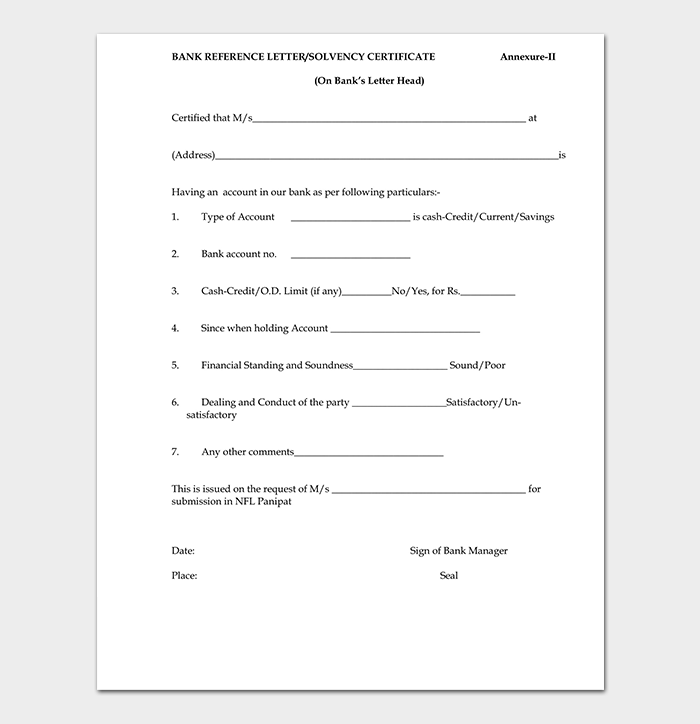 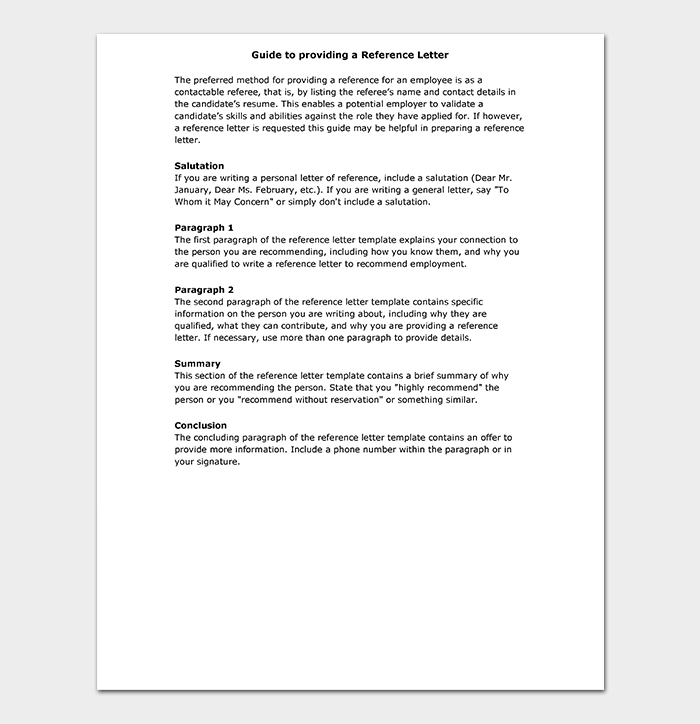 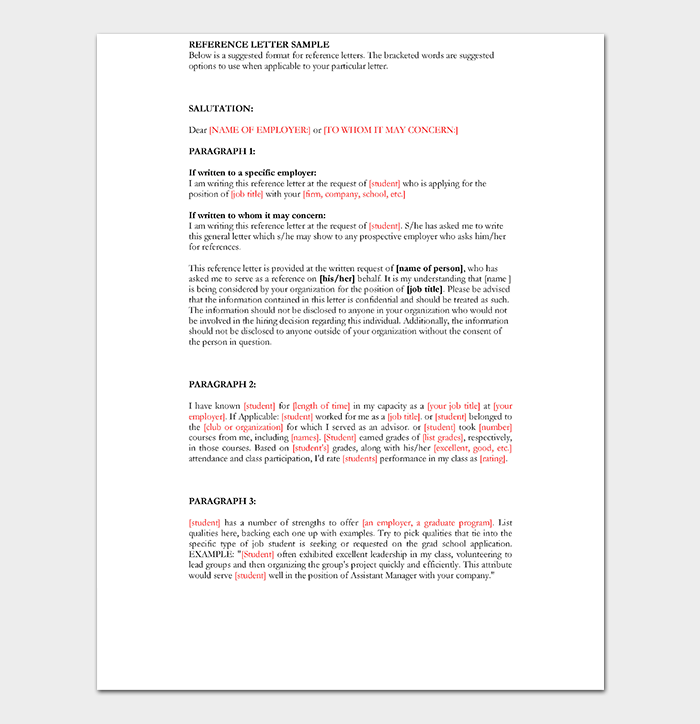 There are essential features of various types of reference letter that you must carefully consider even before you began writing a particular type of reference letter.